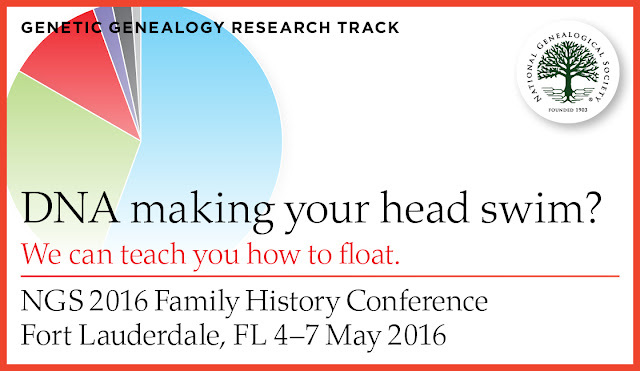 Family historians interested in learning more about DNA testing and genetic genealogy should be sure to check out this year’s National Genealogical Society Conference in Florida, 4-7 May. The conference at the Greater Ft. Lauderdale/Broward County Convention Center is a premier opportunity to meet and network with other genealogists. It offers 180 presentations, including twelve lectures focused on DNA and genetic genealogy, for both new and seasoned researchers. For those interested in genetic genealogy, topics include testing companies, the types of DNA testing available and their strengths and weaknesses, and using DNA as evidence in conjunction with traditional documentary sources. 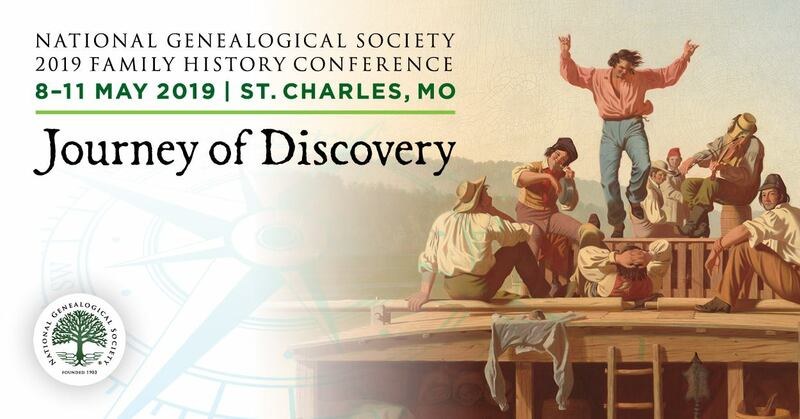 In all, the conference offers a broad array of topics, including building your family tree, problem-solving, researching ethnic and religious groups, military records, land records, migration patterns, and online and archival records as well as technology. Visit the NGS 2016 NGS Family History Conference website for more information about this year’s conference or to register. Attendees may register at the door, please note that registration for all meals and social events closes on 22 April 2016. Registration for Meals and Social Event Ends 22 April! The words Certified Genealogist are a registered certification mark, and the designations CG, CGL and Certified Genealogical Lecturer are service marks of the Board for Certification of Genealogists®.